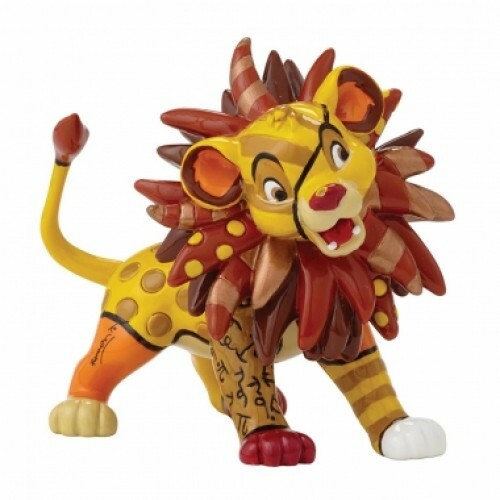 Simba from The Lion King makes his debut appearance in the Disney by Britto brand. Romero Britto interprets Disney's most beloved characters in mini works of art, popping with bursts of colour and exquisite detail. Romero Britto is an artist whose paintings and sculptures are currently exhibited in more than 100 galleries worldwide. "An art that is too important not to share", says Britto. "One that elevates the soul and nourishes the heart". The high gloss shiny finish figurine is presented in a branded gift box. Unique variations should be expected as this product is hand painted. Not a toy or children's product. Intended for adults only.